A talk looking at the techniques used and pitfalls encountered by SoundCloud’s engineers through three years of work on Prometheus, an open source monitoring system. A look at how it’s possible to build a simple container using a small amount of Go. A quick look at building a very simple Go static analysis tool that checks that all dependencies within an app are vendored. 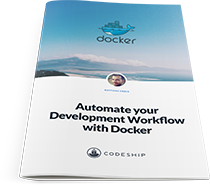 In this free Codeship eBook you will learn how to use Docker to solve the problems of inconsistent environments on varying deployment targets and how to build an app to run inside an isolated Docker Container. A distributed relational database, which uses SQLite as its storage engine. SendGrid’s co-founder explains why they moved to using Go for their primary development language, and why maybe your company should too. Centralway’s vision is to create the world’s leading mobile banking platform. We are looking for Golang Engineers, who are interested in changing the future of mobile banking with us. On Hired, engineers typically get 5+ job offers in 1 week. Find that new opportunity you've been craving and get access to 3,500+ companies instantly. ‘Health Level 7: Version 2’ is a clinical data protocol still in use in the medical profession. Collins is an infrastructure management store for ops engineers. A ‘near drop in replacement’ for the standard logging library. Line is a popular messaging app (in Asia, particularly) that has a bot API. Collect customer data with one API and send it to hundreds of tools for analytics, marketing, and data warehousing.